Incumbent Democratic Sen. Bill Nelson conceded the Florida senatorial election to Republican Gov. Rick Scott Sunday. 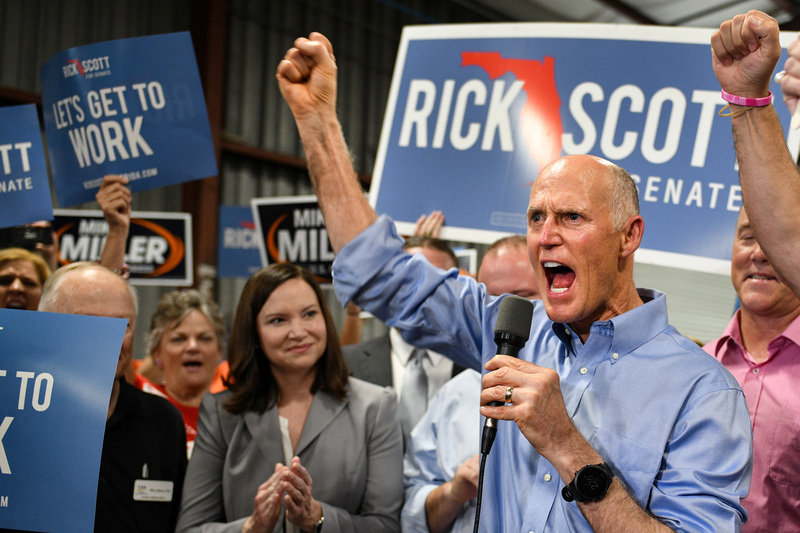 “I just spoke with Senator Bill Nelson, who graciously conceded, and I thanked him for his years of public service,” Scott said in a statement. The heated race was been neck-and-neck throughout the duration of the campaign. The race had been too close to call on Election Day, triggering both a machine and hand recount. Scott has spent over $150 million on his three campaigns combined, more personal funding than any other politician in Florida history, The Tampa Bay Times reported. Scott was elected governor of Florida in 2010 and has been primarily focused on creating jobs for the state. He has been a staunch advocate of low taxes, which he argues allows for companies to hire more workers and consequently grow the economy. Nelson, who has held the Senate seat since 2000, advocated for higher taxes, especially on the wealthier tax brackets. He was opposed to the Tax Cut and Jobs Act in 2017, arguing that companies would be more likely to move jobs overseas.